After the 7th and 8th round of the Ikaros Chess Festival 2009 it seems that Robert Kempinski slowed down a bit, making two short draws. This allowed his adversaries coming closer. In the 8th round a very important victory was achieved by GM Alexander Mista over GM Robert Markus. Mista shares first place together with Kempinski and two friends will face each other in the ultimate 9th round. Important point also for Andrey Rychagov who beat Vladimir Tukmakov. Russian grandmaster is in third place and is set to also meet a friend in the final round, Evgeny Vorobiov. Among women, Inga Khurtsilava from Georgia who beat Dutch IM Dharma Tjiam and Helena Levushkina from Germany who beat the Indian IM Atanu Lahiri and drew against the Russian IM Oleg Spirin share the first place with 6 points each! Among the Greek players, Giorgos Nikolaou continued to perfmom well achieving another draws against two International Masters, Dhrama Tjiam and Robert Ris in the 7th and 8th round respectively. The tournament comes to the end tomorrow with the 9th round that will be played at 3.00 p.m. Apart from the top games Mista – Kempinski and Vorobiov – Rychagov, there are several other interesting games: Markus – Klip, Bobras – Koepke, Tukmakov – Khetsuriani, Zagrebelny – Groetz, Khurtsilava – Spirin and Levushkina – Lekic. This night the participants of the tournament will have a chance to come in touch with Ikarian tradition, taste Ikarian delicacies and wine and try the famous Ikariotikos dance, since all are invited to the annual “panigiri” festival in honor of Saint Marina and liberation of Ikaria from the Ottomans (17th of July 1912). This is the reason why the 8th round was scheduled in the morning since all tables from the tournament will be used for the “panigiri” of Saint Marina! 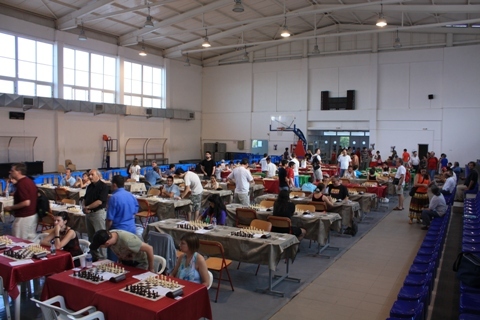 The closing ceremony of Ikaros Chess Festival will take place at the Sports Center of Aghios Kirykos after the completion of the 9th round. The results and pairings together with the statistics of the tournament can be found on the tournament website. 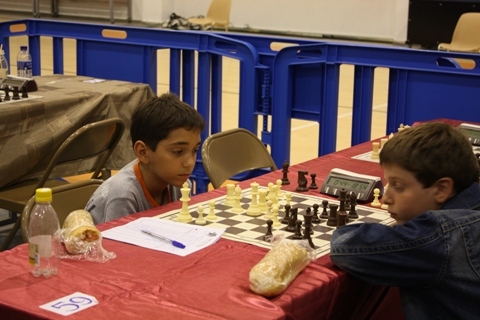 The reports will also be posted here on Chessdom.com, the Official Media Partner of Ikaros Chess Festival.